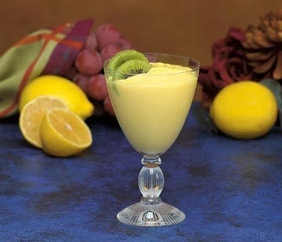 This lovely lemon pudding recipe was submitted to Cookingnook.com by Iranian chef by Farhad Zafari of iranchef. The use of buttermilk gives this pudding a bit of a sweet tart taste that is just a bit different but quite good. In a mixing bowl, blend the eggs to mix the egg yolks and egg whites. 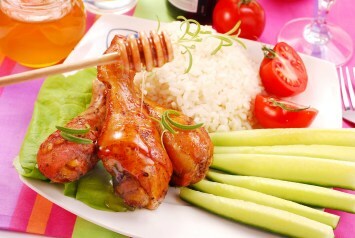 In a deep sauce pan, combine the sugar, cornstarch, flour and buttermilk. Cook the mixture on medium heat for 15 minutes. Remove the pan from the heat and slowly mix the beaten eggs into the mixture. Now add the lemon peel, lemon juice, and butter and simmer on low heat for 4-6 minutes. but don’t boil. When the mixture gets thick, pour it into a glass bowl and mix whipped cream into it. Scoop the pudding into serving bowls and chill for 30 mins. I love lemon pudding and this looks like a great recipe. I love the addition of healthy buttermilk to the recipe. It will give it a nice tart taste. Replace the buttermilk with regular milk if you prefer. If lemon pudding is one of your favorites, you will find many more lemon recipes here.